As an admin for a Giving Circle, you have the ability to access your Giving Circle's dashboard to see your Giving Circle's Giving Fund page. Check out the picture below to see how you can tell if a donation is recurring or one-time! 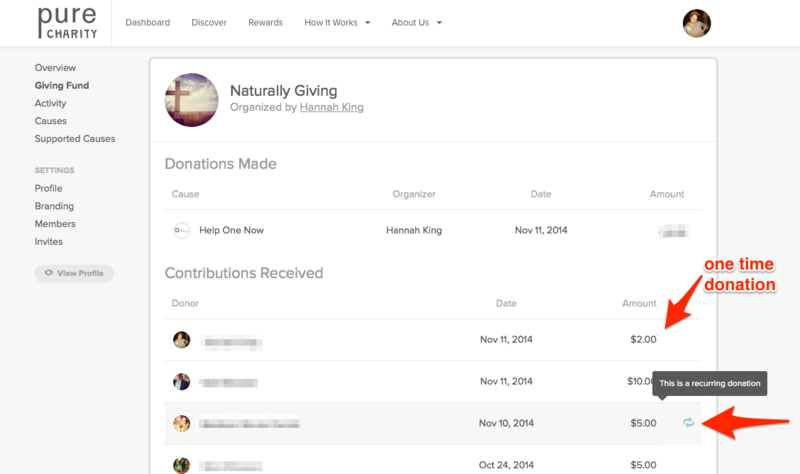 First, go to your giving circles dashboard and click Giving Fund. If you see the arrow cycle next to a donation amount, it is a recurring transaction. If you do not see the arrow, it is a one-time donation.